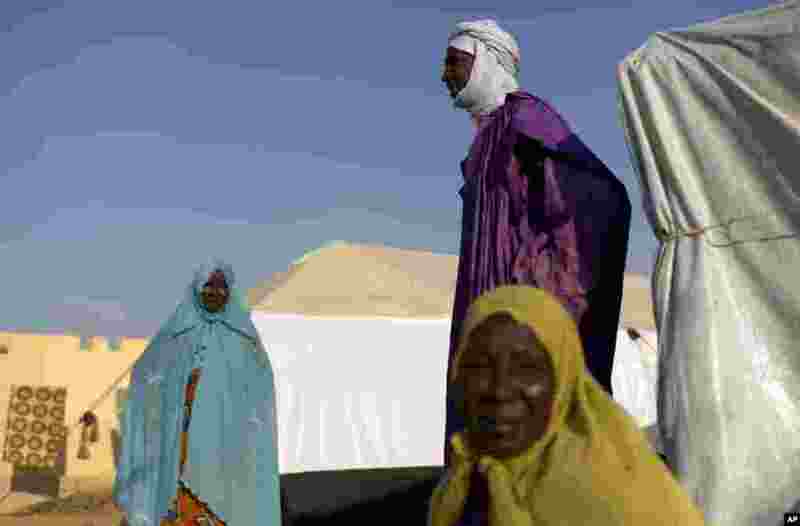 1 People who fled northern Mali are seen at a camp for internally displaced persons, in the city of Sevare, Mali, January 23, 2013. 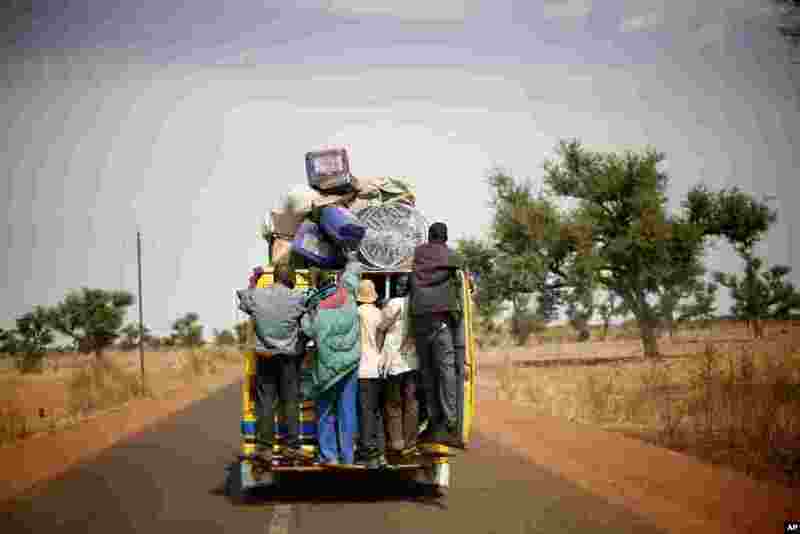 2 Malians hang on the back of a packed minibus as they drive to Marakala, central Mali, 240 kilometers from Bamako, January 22, 2013. 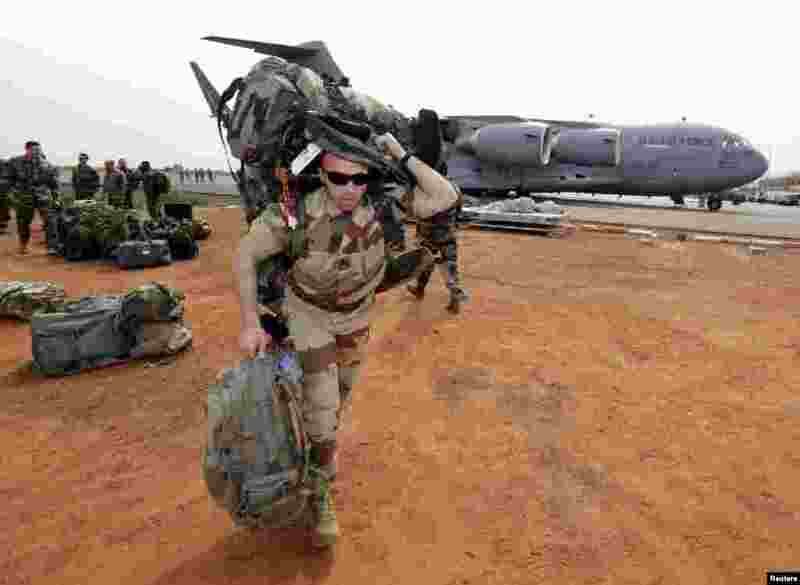 3 A French soldier carries his equipment after arriving on a US Air Force C-17 transport plane at the airport in Bamako, Mali, January 22, 2013. 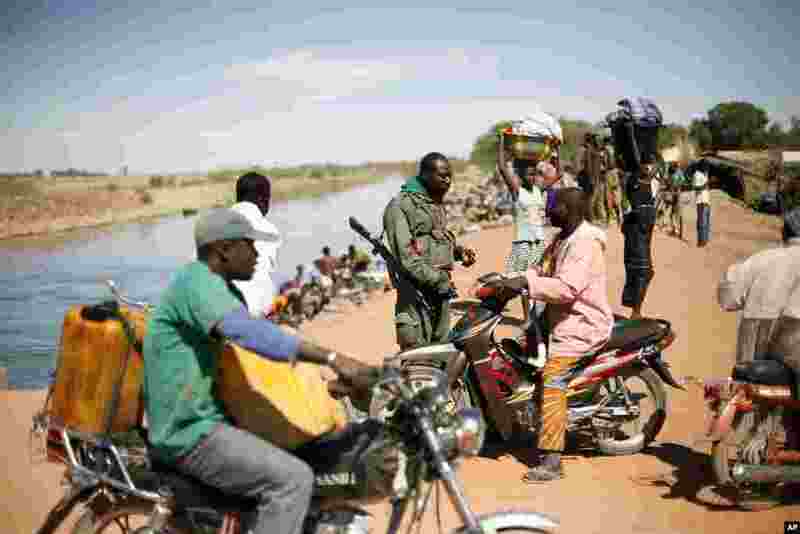 4 Malian soldiers carry a box of ammunition after searching through debris at a military camp in Diabaly, Mali, January 21 2013. 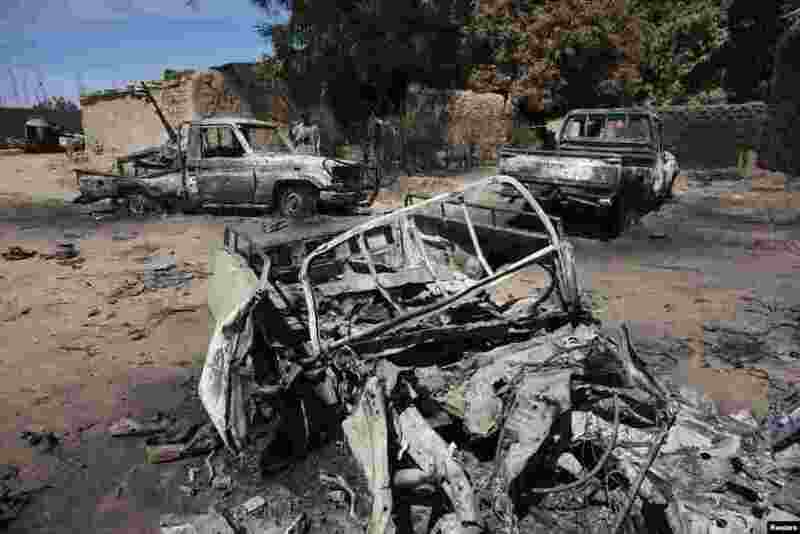 5 Charred pickup trucks, which according to local villagers, belonged to al-Qaida-linked rebels and destroyed by French airstrikes, are seen in Diabaly, Mali, January 21, 2013. 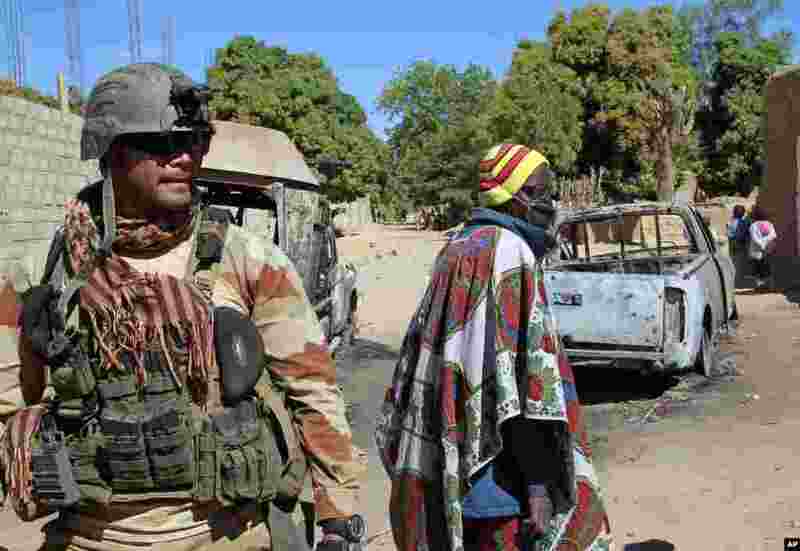 6 A French soldier secures a perimeter on the outskirts of Diabaly, Mali, January 21, 2013. 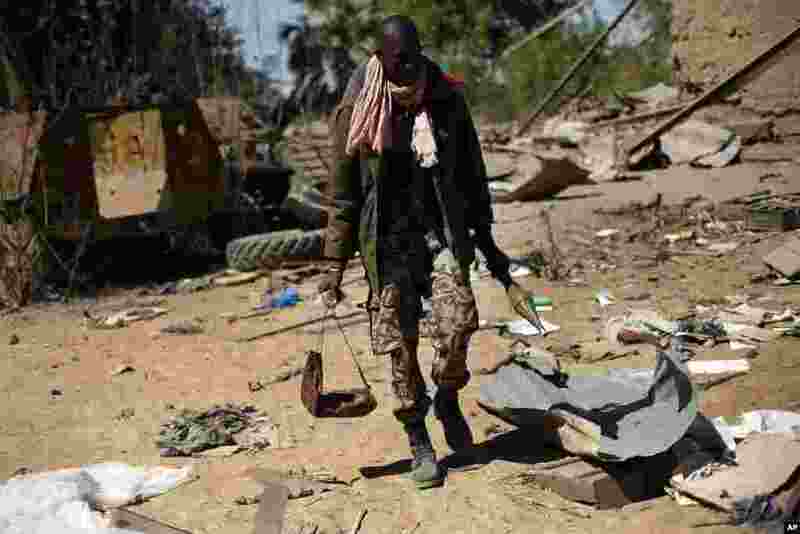 7 A Malian soldier walks inside a military camp used by radical Islamists and bombarded by French warplanes, in Diabaly, Mali, January 21, 2013. 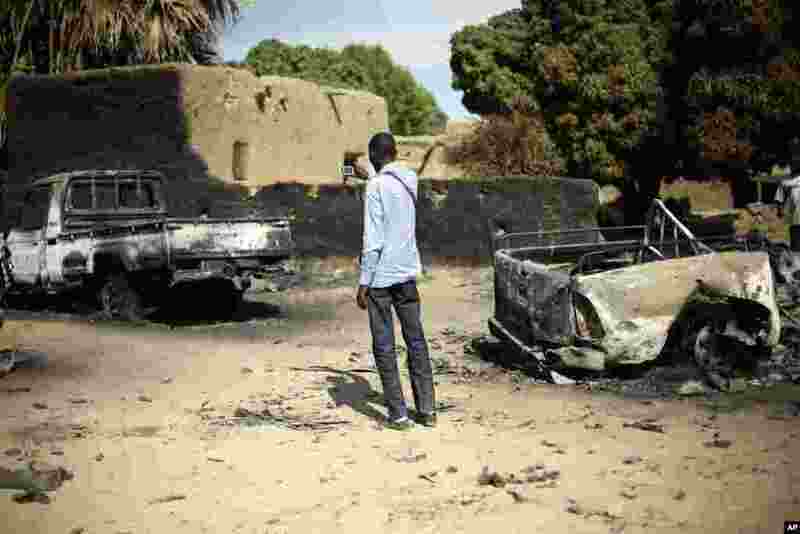 8 An unidentified man takes a picture of the charred remains of trucks used by radical Islamists on the outskirt of Diabaly, Mali, January 21, 2013. 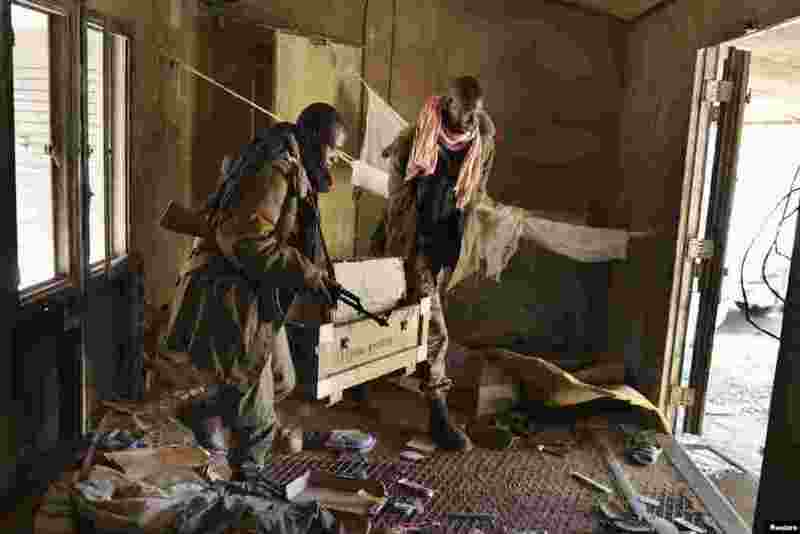 9 A Malian soldier checks identity papers in the center of Diabaly, Mali, January 21, 2013.